Dictator Obama will visit Charlotte, NC on Tuesday, April 15 to receive the idolization of his followers at ImaginOn in Uptown Charlotte. If you would like to help organize this protest, send me a message using the contact tab above. If you are interested in participating in this and future protests, please join this group. The start time was changed to 1pm because the following news report says he is scheduled to arrive in Charlotte at 1:50pm. His schedule is often not so accurate. So, it is best to get there early, if you can, and be prepared to wait. Take photos and video. Let this blogger know via the contact tab above, if you have an photos or video to share. The information above is provided by a remotely-located blogger with no guarantees of how the protest will turn out. It is an opportunity to protest Obama in his presence. It depends on the patriot groups and individual patriots in the area as to what they make of it. 2 Responses to Protest Obama Visit to Charlotte – Impeach Obama NOW! 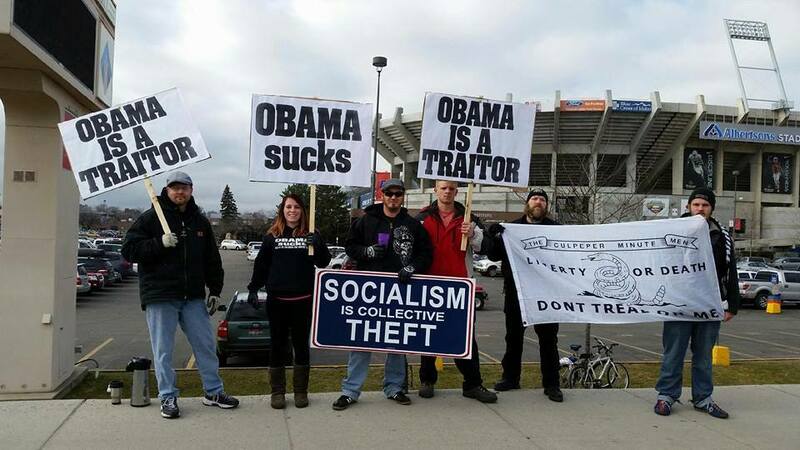 I would like to join this group to protest Obama when he comes to Charlotte, NC on Wednesday 4/15/2015- can you help?